A Company That Unites The World’s Artists, Scholars, and Innovators … And They’re Hiring! Posted on Oct. 10, 2016, 6:14 p.m.
At UpScored, we choose to work with companies that make a positive impact on their communities, which is why we’re elated to highlight one of our favorite Partner Companies: IVY. Read on to learn more about IVY’s vision and why you’ll want to work for them! 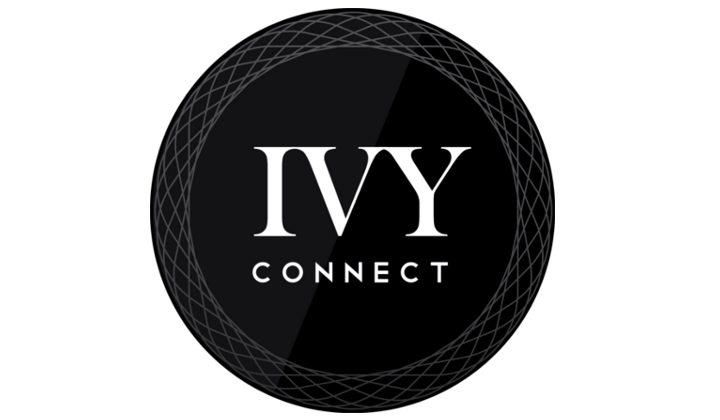 IVY is the world's first Social University, created to unite thoughtful individuals through a lifetime of new inspiration and connections. IVY’s over 20,000 members are entrepreneurs, artists, scholars, and innovators across 7 cities — and their curriculum of experiences span from the Arts, Entrepreneurship, and Policy to Well-being and Social Impact. From events like Macbeth at the LA Opera to Idea Nights with leaders like the Chairman & CEO of OgilvyOne, the benefits, perks, and unique experiences with IVY are endless. IVY thought leaders and speakers range from Jack Welch to Hugh Jackman to Gretchen Rubins. Not to mention, IVY’s members are diverse — they come from different industries, backgrounds, and interests. "My absolute favorite part of working for IVY is the team. Not only are my colleagues highly motivated, hard-working problem-solvers, but they're also some of the most exuberant people I know. Everyone at IVY is incredibly passionate about pushing the brand ahead, and accordingly, no week ever looks the same." We love their mission: IVY is a catalyst for unprecedented human unity, progress, and fulfillment. The Company unites the most talented and intellectually curious individuals. They’ve grown at a rapid pace and are already in a number of cities in the U.S. including NYC, LA, Chicago, DC, and Boston — to name a few. Its members share a similar goal: to make a positive and lasting impact on their communities. Similar to the company’s mission, IVY’s employees are encouraged to collaborate and foster transformative ideas. IVY is a place where you can build, create, and truly grow professionally. Importantly, their mission isn’t limited to the States. They have plans to expand globally to cities like London, Tel Aviv, Hong Kong, and Seoul — you can join the movement and become an integral part of IVY’s global mission and growth trajectory. On top of that, we think both the company and it’s team are seriously cool. Check out more at Ivy Magazine or take a look at IVY’s upcoming events to get a feel for just how cool they really are.